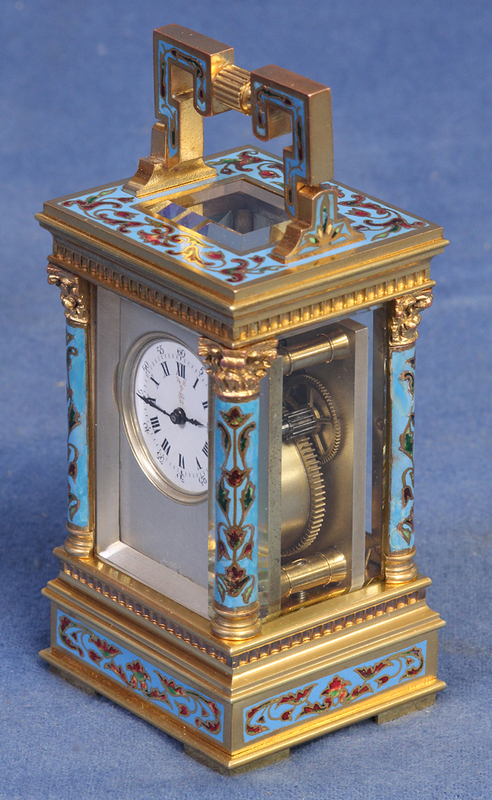 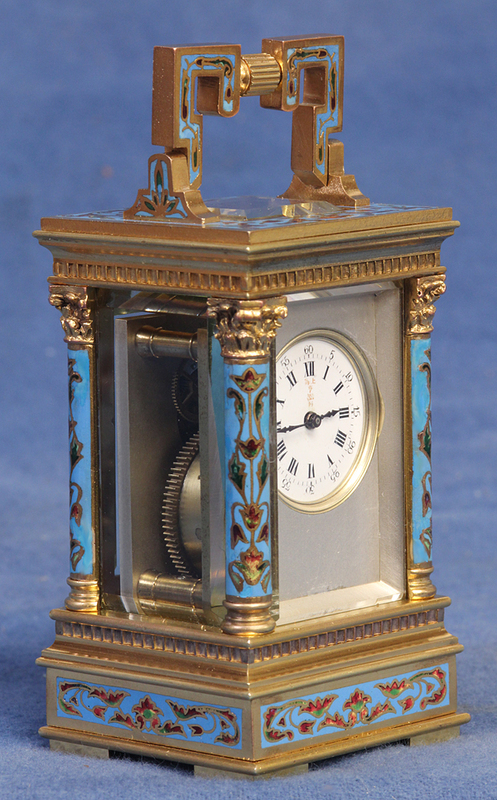 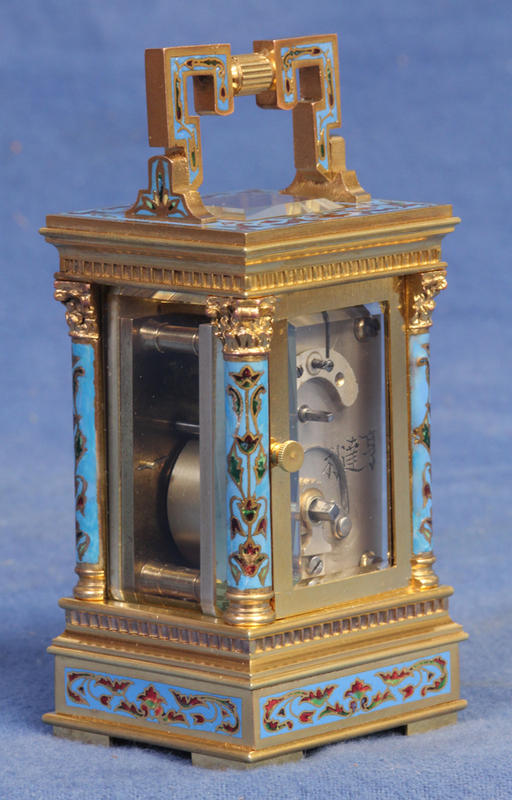 c.1900 Rare French Miniature Champlevee Carriage Clock. 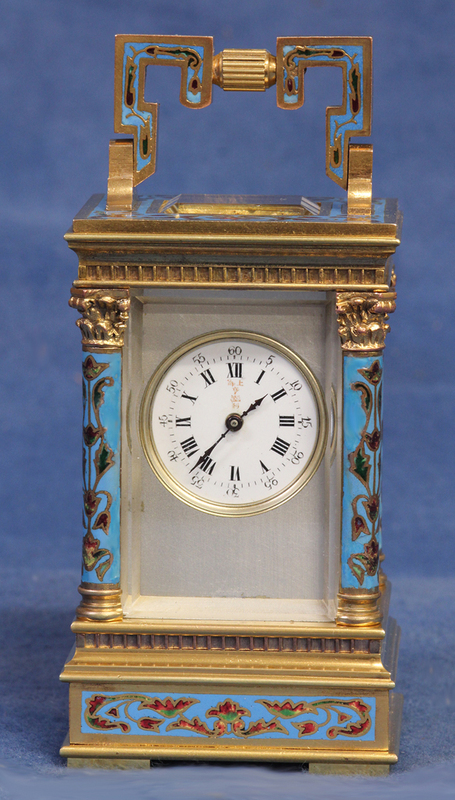 The miniature gilt bronze Anglaise Riche case has Corinthian columns, a shaped hinged handle, fluted freezes, beveled glasses to the top and sides and is adorned with detailed polychrome champlevee. 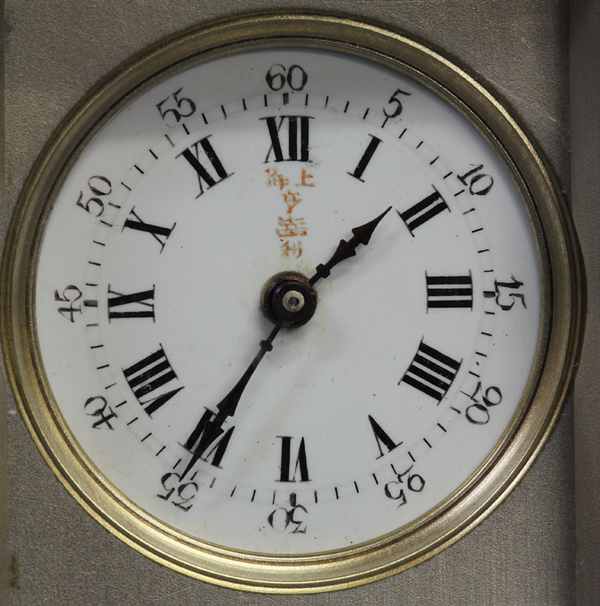 The white porcelain dial has shaped steel-cut hands, Roman numerals, Arabic five-minute marks, a silvered mask and is signed by the Chinese retailer in red characters. 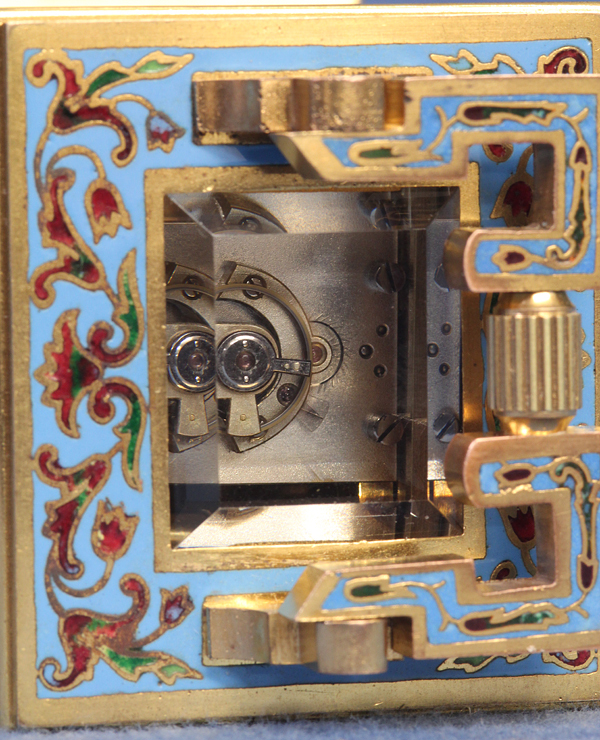 The eight-day time-only silvered movement is wound and set off the backplate, retains the original balance platform and is also engraved with the Chinese retailer. 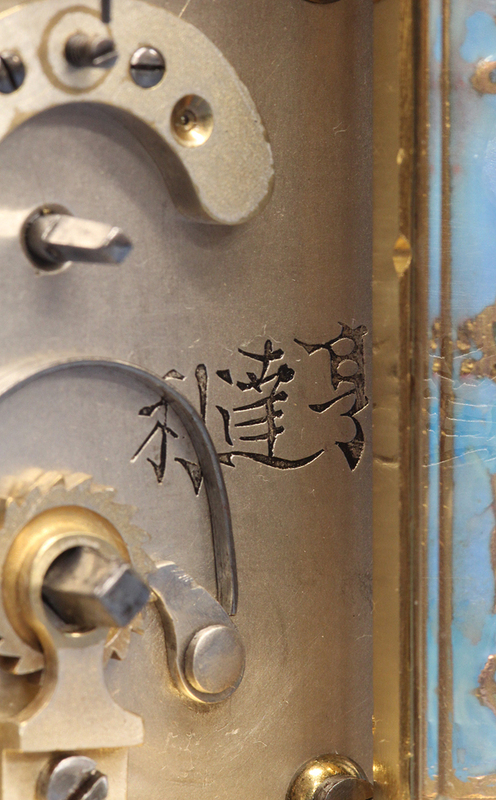 This is the first miniature champlevee piece that we have owned that carries a Chinese retailer’s signature on both the dial and backplate. 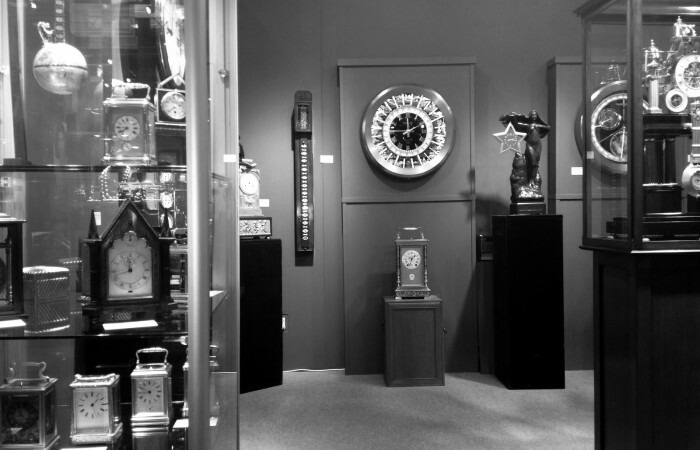 Hang-Dah-Le, the Chinese translation of L. Vrand & Co, were a German firm located at 36 Nanking Rd, Shanghai who specialized in Western mechanical pieces including watches, clocks and bird automata.